As extreme weather events go, droughts—like the one that singed Russia’s wheat crop two summers ago and the one that engulfed the United States in July—are about as tricky as it gets. 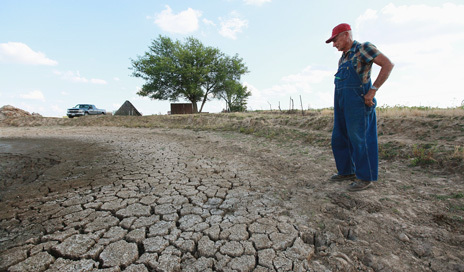 Unlike hurricanes and tornadoes, drought does not have an obvious start or end. In fact, there isn’t even a clear definition for it, making it hard to measure and monitor, let alone predict. But with better observations of the earth, oceans, and atmosphere and improvements in computer modeling, scientists think they’ll be able to foresee the chances of drought up to a decade in advance, and better predict droughts that arise suddenly or last longer than a few months.